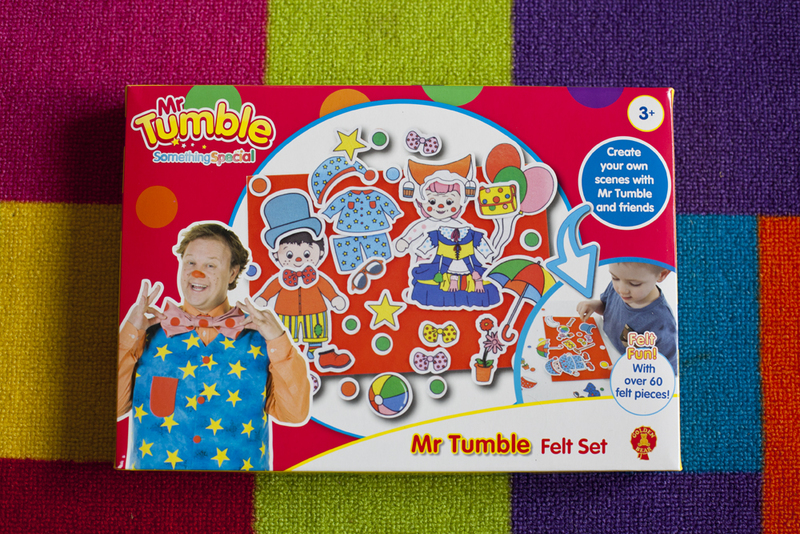 If you have a baby or a toddler then I assume you know the famous Mr Tumble from Something Special. If you don't then you are definetly not spending enough time watching Cbeebies. Lily is a huge Mr Tumble fan and has been since she was a baby. She would always be transfixed onto the screen and I think it was the first TV show that she had a really good giggle to when Mr Tumble was pretending to sneeze. I was really excited for Lily when I found out that Golden Bear Toys were releasing something very special with a line of new Mr Tumble Toys. We were really lucky to be approached to review 2 new toys from the collection. 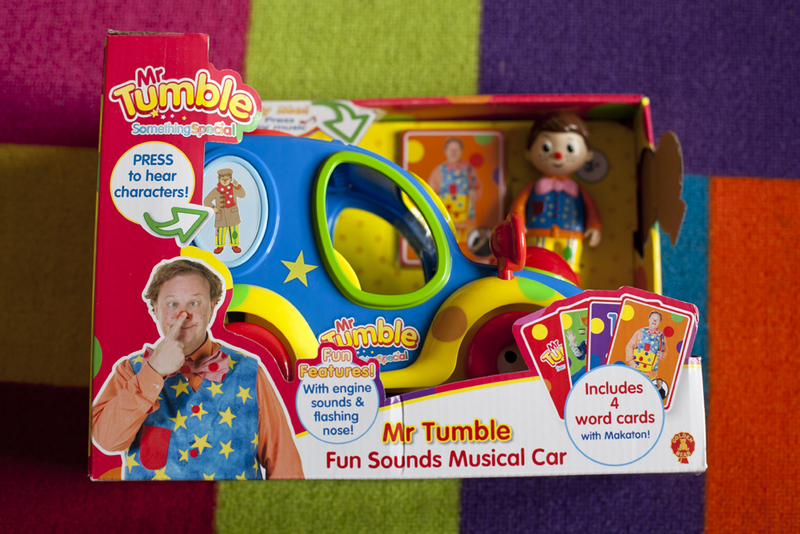 We were sent the Mr Tumble's Fun Sounds Musical Car and the Mr Tumble's Fun Felts Set. I first introduced Lily to the car. As soon as I got it out she was so eager for me to get it out of the box and luckily it wasn't that hard to get out. As soon as it was all out for her she began playing with it straight away. 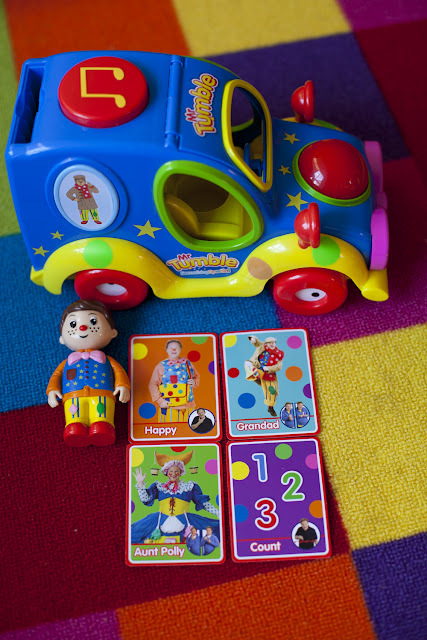 The Mr Tumble car has so many different fun features and even I found exploring the car good fun. 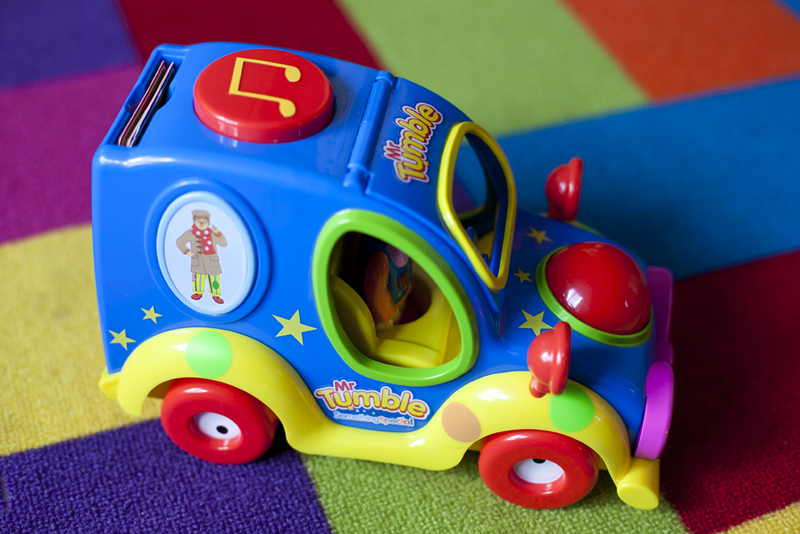 The first thing you notice about the car is how colourful it is, you can definetly tell its Mr Tumbles Car and the colours will really appeal to children wanting to play with this toy. 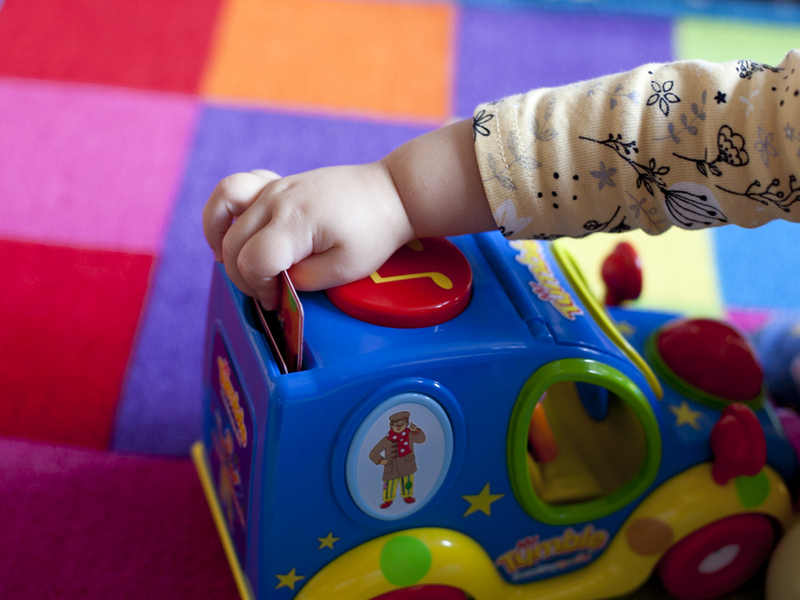 As soon as you start pushing it along the floor you hear the engine start and a horn also toots. 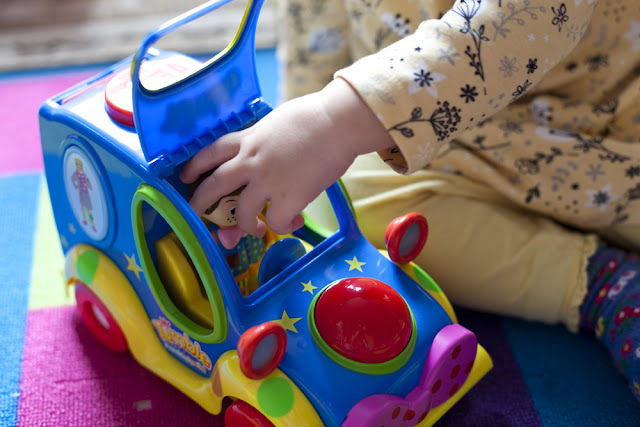 Its a really fun sound for children to hear as they push along the car but then again not the most fun sound for parents to hear again and again. But as your child gets older, sounds like this happening through out the day definetly seem to bother you less. At the end of the day as long as its keeping Lily entertained then it can beep away all it likes to me. As the car is pushed it also wobbles from side to side. It runs really smoothly on carpet or laminate flooring. On the side of the car are 2 more buttons, one has Grandad Tumble on it and you can hear him say some of the catchphrases from the show and the other side you have Aunt Polly who also says her catchphrases. There is a range of things that they say so you can press the buttons plenty of times. On the front is another button!!! This one when you press it it flashes red. All the buttons are really obvious and Lily found them all easily and pressed them all. Lily loved the Mr Tumble character that it came with. He is really chunky and just the right size for little hands to grip. She was also so excited to see that you could lift the front of the car open and place him into the car. This is something she loved doing the most. 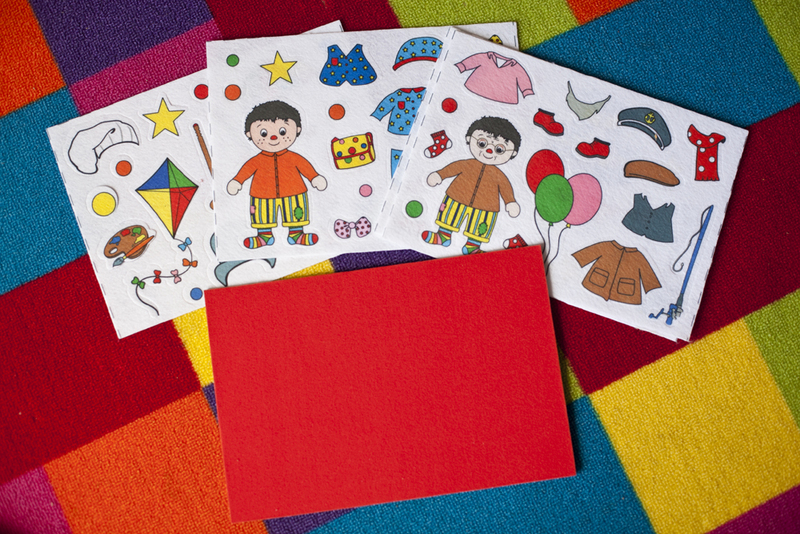 Last but not least the set comes with 4 colourful makaton cards for them to look at. These slot into the back of the car. Lily really enjoyed placing them in and out of the car as well. Overall the car I love and Lily loves. I think its a really good toy to encourage touch and sound recognition as well as providing hours of fun. The toy retails at £29.99 and if you child is a fan of Mr Tumble and a fan of cars then this is the perfect toy for them. The second toy I was really excited about myself. It was the felt set and I used to play with felt sets loads as a child. Its something I would of never have thought about buying Lily but now she has one I've learnt it would have been a real shame for the idea to never enter my head. She LOVES it. The set comes with a flocked board and over 60 felt pieces to stick onto it. I was super impressed with how many it came with and it gave such variety to the pictures we could make. The pieces are all about dressing up Mr Tumble and friends and there are lots of different costumes and funky things from the show to stick on. I took all the pieces out of the felt that it came in, and then let Lily be creative with it. I was quite impressed that she straight away knew what to do and started to place them down onto the board. She is a really big fan of stickers and so I think that this is why she understood what to do. She also did layers with the felt pieces to make up outfits and also gave the characters things to hold in their hands. The one thing she didn't seem to understand though was that unlike sticker books, the felt pieces could be taken of and re used. At one point she fully filled the board and then got frustrated that there was no more space. I had to show her that she could take them all off and do it all again. After showing her this, she spent ages playing with this toy. I haven't seen her sit so quietly with a toy for ages and its great that its something she can play with without my constant help. 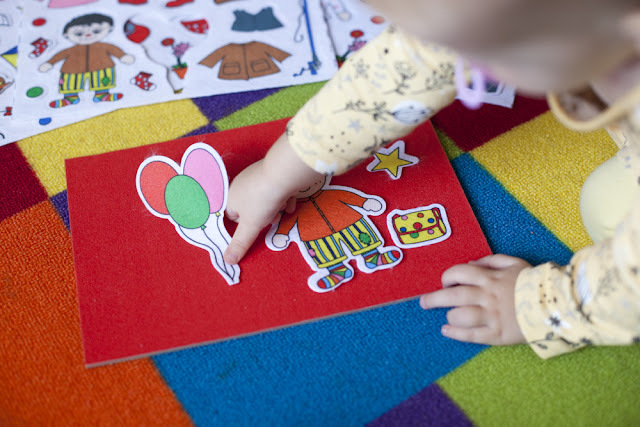 The felt board is a great price of £7.99 and If your child is a sticker fan then this is a must buy seen as it has the same qualities as stickers apart from you can use it over and over again. 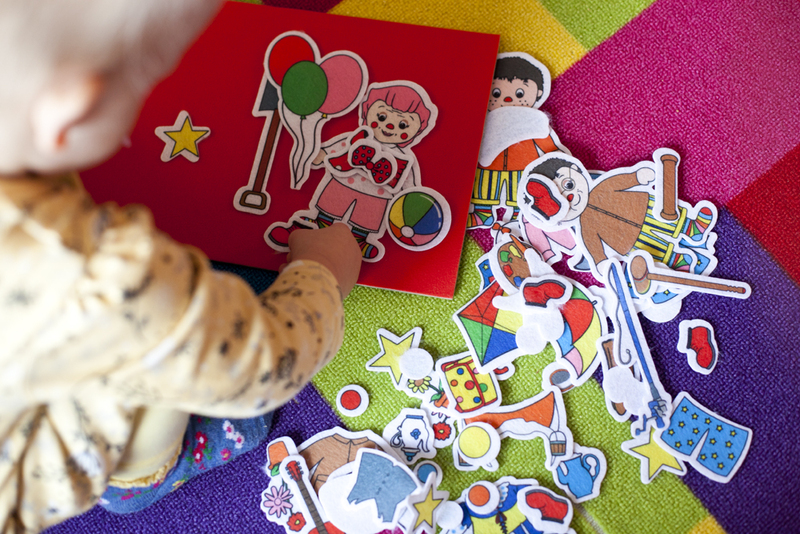 Which of these toys do you think your child would love?